NASAThe Thwaites Glacier in Antarctica. If the glaciers holding back ice sheets in Antarctica and Greenland were to collapse, the rate of sea-level rise around the globe could skyrocket. That would quickly render coastal cities, where hundreds of millions of people live, uninhabitable. To prevent this, scientists are proposing a new kind of geoengineering plan to prop up the ice sheets with mounds or walls underneath. It would be the biggest civil-engineering project in human history. For the hundreds of millions of people who live along the world’s coasts, the scariest sea-level-rise scenario is the collapse of ice sheets. Sea levels are already rising rapidly, threatening to swamp cities like Miami within the lifetimes of people alive today. If the sheets of ice that sit on top of Antarctica and Greenland were to collapse, the rate of sea-level rise could skyrocket, making coastal cities uninhabitable and destroying trillions of dollars’ worth of property and infrastructure. To prevent or slow such floods from washing over cities, humanity may need to embark on the biggest civil-engineering project in human history, says a study published Thursday in The Cryosphere, a journal of the European Geosciences Union: building massive walls under the ice sheets to prevent them from falling apart. It would be a geoengineering effort – a way of reworking our planet – that might buy time for coastal areas to adapt and for humanity to reverse some of the warming we’ve caused by burning fossil fuels and changing the climate. “Doing geoengineering means often considering the unthinkable,” John Moore, a climate scientist at Beijing Normal University and Finland’s University of Lapland Arctic Center who helped write the study, said in a statement. The project is still theoretical. 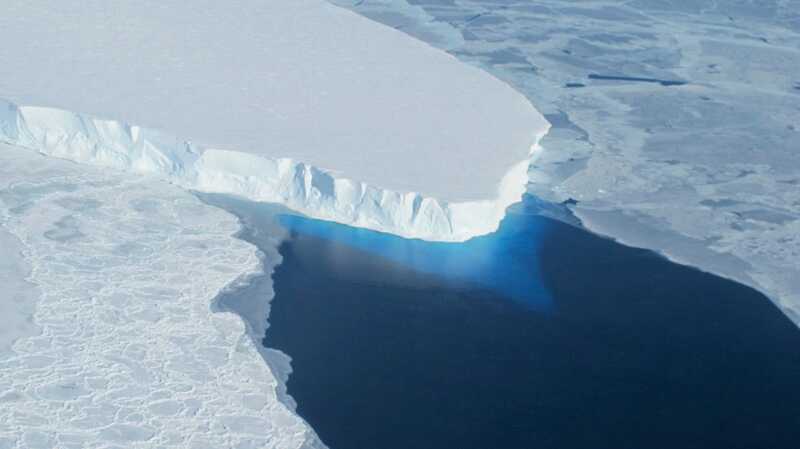 This sort of ice-sheet intervention “today would be at the edge of human capabilities,” the study’s two authors wrote. But it’s possible that catastrophic ice-sheet collapse could happen in the foreseeable future, and the processes that could trigger it at the Thwaites Glacier in West Antarctica – one of the most vulnerable glaciers – could already be happening. “Thwaites could easily trigger a runaway [West Antarctic] Ice Sheet collapse that would ultimately raise global sea level by about 3 meters,” the other author of the study, Michael Wolovick, a geosciences researcher at Princeton, said in a statement. Ian Joughin, University of WashingtonCrevasses near the grounding line of the Pine Island Glacier in Antarctica. 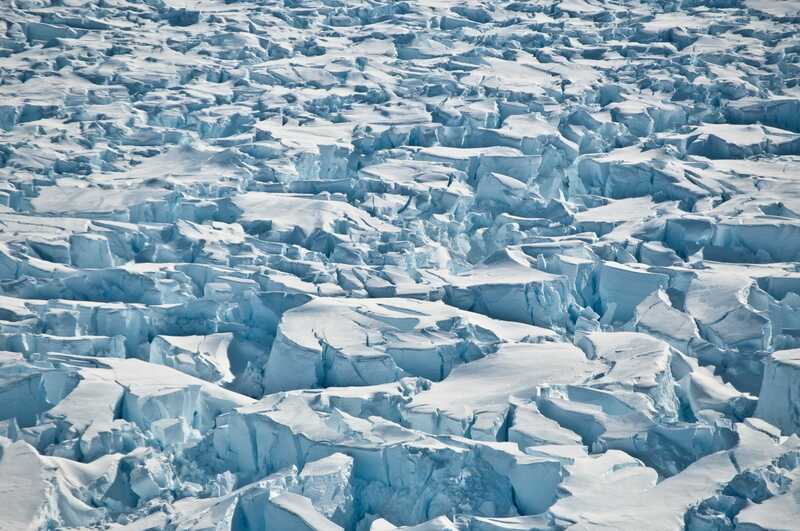 There’s enough ice stacked on top of Antarctica to raise seas around the globe by almost 200 feet. 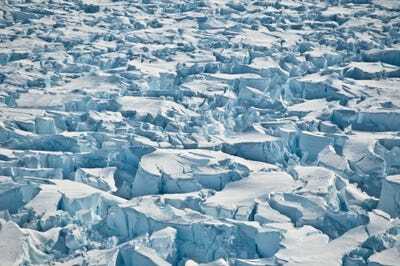 While it takes time for major changes to occur with that much ice, Antarctica is melting faster than we thought, according to a study published in June in the journal Nature. While it would take thousands of years for sea levels to change by hundreds of feet, people have already caused seas to start rising. In the 20th century, sea levels around the globe rose by about 6 inches on average, Michael Oppenheimer, a professor of geosciences at Princeton, said earlier this year during a media briefing on sea-level rise. That was enough to narrow the typical East Coast beach by about 50 feet, he said. Since the mid-1990s, places like Miami have seen an additional 5 inches of sea-level rise. Seas rise faster in some places than others because of ocean currents and the effects of gravity. Several factors contribute to global sea-level rise. As the burning of fossil fuels has caused the world to warm, oceans have absorbed the majority of the heat. Warmer water expands, taking up more space. Glaciers are also melting, adding more water to the system. 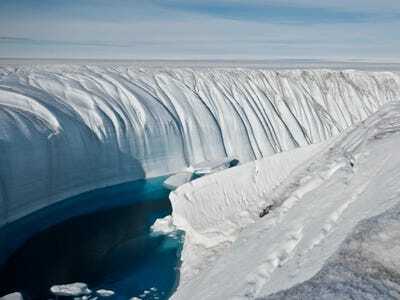 The final factor is the melting from ice sheets in Antarctica and Greenland that are still protected by glaciers. Ian JoughinOver several years, turbulent water overflow from a large melt lake carved this 60-foot-deep canyon. The latest study says we could try to build support structures or even walls underneath the ice sheets to prevent them from breaking apart or being weakened by the influx of warm water from below. Wolovick and Moore have been researching this concept for several years now. In their new study, they calculated the likelihood that ice-sheet engineering could prevent the collapse of the Thwaites Glacier. It’s an especially challenging glacier because of its extreme width, meaning it would need a large support structure. The first method of propping up the glacier they modelled was sticking a series of 1,000-foot mounds underneath it. While this wouldn’t block warm water from flowing beneath the ice, the mounds would help support the glacier, making collapse less likely and giving it a chance to regrow. Even this “simpler” method would be a massive undertaking, “comparable to the largest civil engineering projects that humanity has ever attempted,” the authors wrote, like digging the Suez Canal but in a much harsher environment. The authors calculated that this approach would have a 30% chance of preventing the collapse of the Thwaites Glacier – which could trigger the loss of the West Antarctic Ice Sheet – for the next 1,000 years. The more complex approach would be to build an actual wall underneath the glacier designed to stop the influx of half of the warm flowing water. Such a project would have a 70% chance of success over the next 1,000 years, the authors wrote. But it would be far more difficult to pull off. Aside from the technical difficulties that would be involved in conducting the biggest civil-engineering project the world has ever seen, there are other concerns about attempting this. The study’s authors worry that fossil-fuel interests could use the idea of an engineering solution to sea-level rise as an argument in favour of continuing to pump greenhouse gases into the atmosphere. But unlike other proposed geoengineering solutions, such as the idea that we could block out some of the sun’s light to stave off warming, this solution focuses on only one consequence of climate change. In other words, it might help lessen some of the negative effects of sea-level rise, but the other effects of climate change – including drought, ocean acidification, intense storms, and searing heat waves – would continue unabated. And as the world warms, these glaciers will continue to melt and proceed toward collapse, even if they are propped up from below. “The more carbon we emit, the less likely it becomes that the ice sheets will survive in the long term at anything close to their present volume,” Wolovick said.